On the final day of the 2015 session, the Iowa Legislature passed HF645, which would expand access to solar energy for businesses, farmers, homeowners and utilities. Now, the bill is on the Governor’s desk, awaiting his signature. We need your help to ensure this important bill becomes law. Iowa’s solar energy tax incentive program has been so effective that even after successfully tripling available tax incentives last year, demand still exceeds the annual cap. HF645 would meet some of that demand by increasing available solar energy tax incentive funds from $4.5M to $5M. 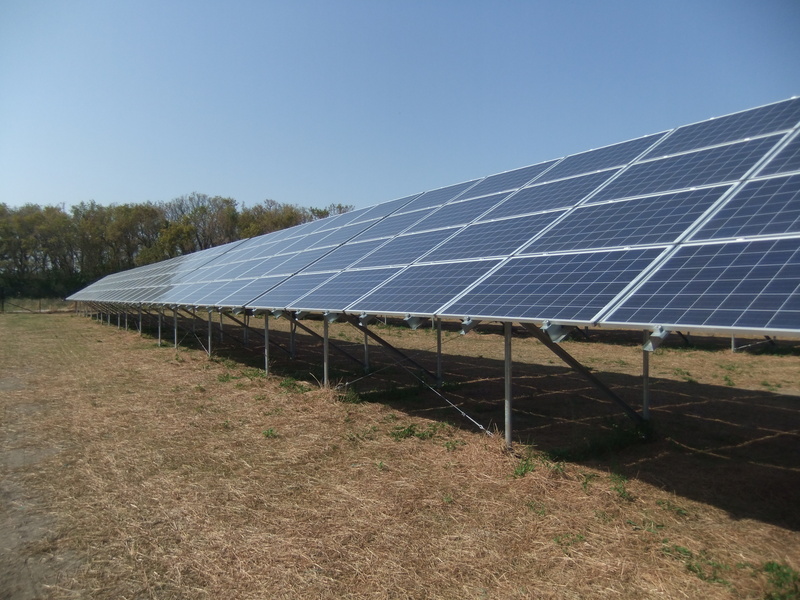 It would also expand and make improvements to the 476C production tax incentive, which can be used to support community solar energy projects. Solar energy in Iowa is growing, but significant potential remains. Let’s keep the momentum going. Tell Governor Branstad that Iowans support increasing solar energy. With the stroke of the Governor’s pen, Iowa can improve access to clean energy that preserves our environment, protects our communities and strengthens our economy. As Governor Branstad considers this modest but important bill, it is critical that he hears from Iowans that support clean energy. Take action today and ask Governor Branstad to sign HF645. 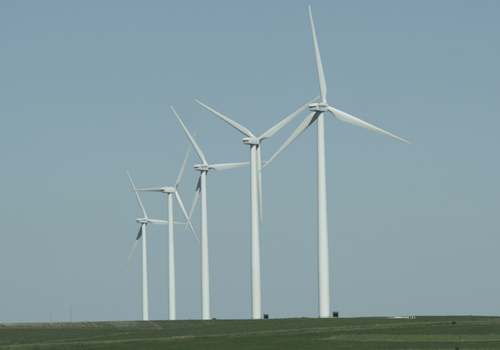 The Iowa Legislature is currently considering two bills – SSB1192 and SSB1193 – both which would protect our environment, strengthen our economy, and improve our health and quality of life by expanding access to wind and solar energy. As the end of session draws near and policy makers begin to prioritize bills for passage, it’s critical that they hear from you, their constituents. Ask your senator to prioritize advancing clean energy in Iowa today. SSB1192 and SSB1193 would expand access to wind and solar energy by increasing the available funds for wind and solar tax incentives. 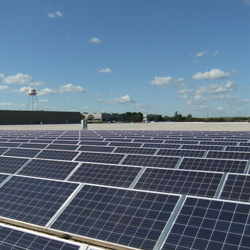 Last year, we successfully advocated for tripling Iowa’s solar tax incentive, which resulted in significant economic opportunities and improved access to solar for businesses, farmers and homeowners. The program has been so effective that demand for the tax incentives still exceeds the annual cap. SSB1192 would increase the annual cap of solar tax incentive from $4.5 million to $6.5 million. SSB1193 would make improvements to 476C production tax incentives, which provide tax credits annually according to the amount of renewable energy produced. Improvements include the addition of more megawatts in the 476C credit for solar energy, and cleaning up the 476C wind list so that active projects may move forward. SSB1192 has been approved by subcommittee and is currently in Ways and Means, and SSB1193 is currently assigned to subcommittee in Ways and Means. We must help ensure both bills make it to the floor for debate: take action now. Together, we can transition Iowa to clean energy, and do so in a way that benefits the state’s environment and health and strengthens our economy. To meaningfully address climate change and its costly impacts on our health, environment and economy, we must confront the leading contributor to climate change: carbon pollution. Fossil fuel power plants are currently the largest concentrated source of carbon pollution. However, despite accounting for nearly 40% of our nation’s carbon pollution, existing power plants have no federal limits on the amount they emit. The EPA’s recently proposed Clean Power Plan aims to change that. Arguably the single most important action the EPA has taken to address climate change to date, the proposed Clean Power Plan will require states to cut carbon pollution from their existing power plants and result in an overall national reduction of 30% by 2030 (from 2005 levels). Individual state goals vary depending on local factors. In addition to the environmental impacts, climate change poses a significant health threat to Iowa. In the recently released Iowa Climate Statement 2014, scientists from 38 Iowa colleges and universities recognized that climate change can contribute to a wide range of health factors including respiratory and cardiovascular problems, increased incidence of vectors (mosquitoes, ticks, etc.) and vector-borne diseases, increased mental health issues and exposure to toxic chemicals, and decreased water quality. Powerful opponents of the proposal with an interest in maintaining our dependence on coal are determined to undermine it. Your voice is critical. Public comments on the proposal are being accepted through Dec. 1. Take action today and urge the EPA to finalize the strongest possible standards that reduce carbon pollution from power plants. The U.S. EPA and U.S. Army Corps of Engineers have proposed new Clean Water Act rules that clarify – not broaden – which waters are protected under the Clean Water Act, including headwater streams and wetlands adjacent to rivers. 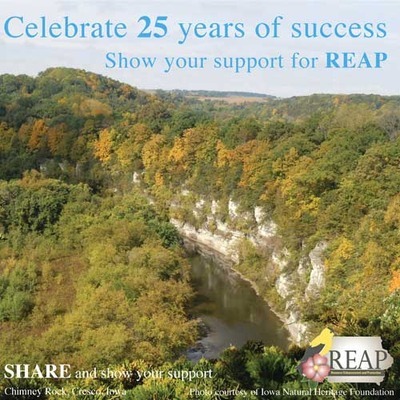 As reported in today’s Des Moines Register, Governor Branstad’s office recently submitted a letter to the U.S. EPA and Army Corps of Engineers regarding the proposed Clean Water Act rules. The Iowa Environmental Council disagrees with Governor Branstad’s characterization of the rules in his letter and his assertion that the rule should be withdrawn. We strongly support the rules, which clarify which waters are protected under the Clean Water Act, including small headwater streams that flow into larger rivers and to wetlands adjacent to these rivers. 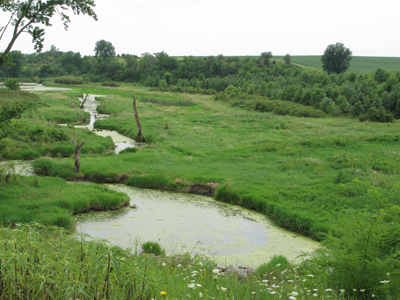 These small streams and wetlands help reduce flooding, supply drinking water, filter pollution and provide critical support and habitat for fish and wildlife in downstream waters. Iowans want clean water, and these rules advance that goal. We believe that the stakeholder meetings convened by the Governor should have included representation from groups who support federal protections for our waters, including people who drink, fish, swim and boat in our waters. As we know all too well in Des Moines, many pollutants affecting the quality of our drinking water come from small streams that flow into the Des Moines and Raccoon Rivers, in some cases crossing state borders. A strong Clean Water Act is needed that clarifies these headwater streams are protected. Help protect some of our country’s most important waters. Submit your public comments to the U.S. EPA and U.S. Army Corps of Engineers in support of the proposed Clean Water Act rules today. Public Comments are being accepted through Friday, November 14.